In case you have not picked up on it yet, I am a big Disney fan. I am also a big fan of the shiny medal objects (SMOs!!) you earn at the end of the race. So, when faced with the opportunity of earning multiple medals at a single event in Disneyland, I jumped at the opportunity to do so. You see, runDisney is phenomenal about incentivizing Casual Runners to take on new challenges that they may not have considered attempting otherwise. Maybe even a little too good at times. 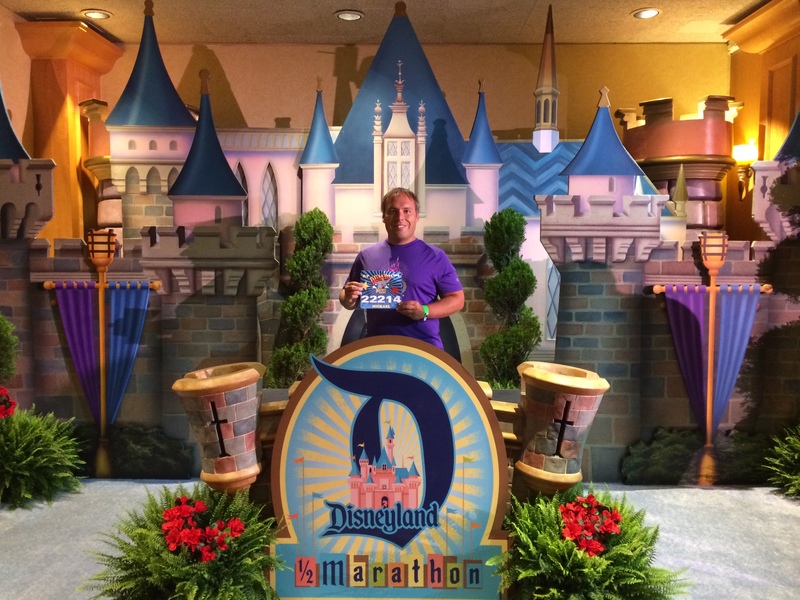 It takes a lot of effort to run a half marathon, but runDisney raises the stakes and encourages runners to aim higher. 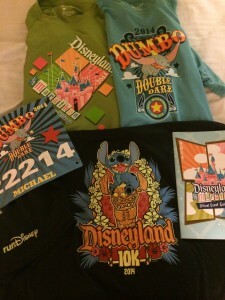 Family Reunions: runDisney Runcation style. 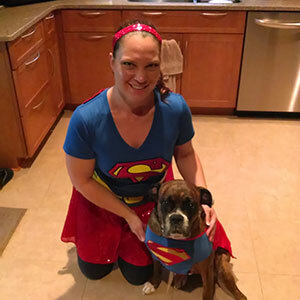 Why I decided to run this race (er…THESE raceS). 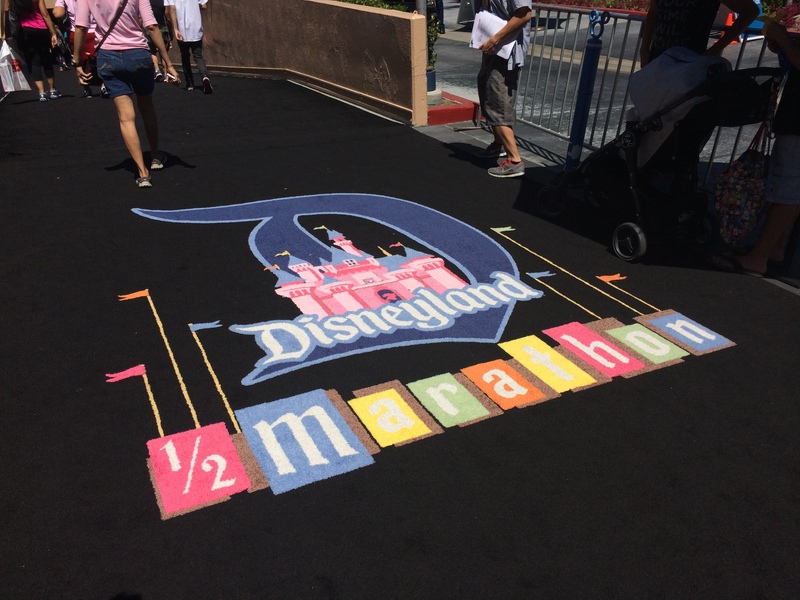 At the Disneyland Half Marathon Weekend, runners have the option of running the 5k, 10k, or half marathon events. But, if a runner accepts the challenge of running both the 10k and half marathon in consecutive days, runDisney rewards him or her with a bonus medal: the Dumbo Double Dare. That is right, 19.3 miles in 2 days, you really do have to be a Dumbo to agree to do that. I never would have considered attempting this under normal (read: sane) circumstances, but the thought of getting a really cool SMO was just too tempting. 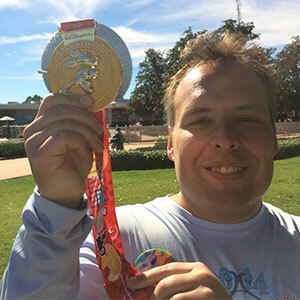 Plus, since I ran the 2014 Walt Disney World Marathon, I qualified for the Coast to Coast challenge, which is awarded to runners who run at least one half marathon or marathon in both Disneyland and Walt Disney World in the same calendar year. 2 events, 2 days, 4 SMOs, I was in. The one drawback to accepting this challenge was that I could not find anyone to run it with me. But I would soon learn that this would be one of the more rewarding experiences of my Casual Running history. Getting there/the lead up to the race(S). Travelling from Ohio to California is not easy and it can be pricey, even when you are travelling on a budget. I could not find any other of my Casual Runner fans who could fit this event into their travel schedules, so I decided to go at it alone. However, shortly after announcing my intentions to run this challenge, my cousins from Arizona – Mary Ann, Sandy, and Katie – got the idea to turn this into a mini-family reunion, in Disneyland no less. I had not seen my cousins in over 10 years, so this was going to be the perfect to spend time with my family. Needless to say, we had an awesome time catching up and touring the parks together. Once again I will steal Tom Bell’s line: Disneyland really is better when it is shared! (Scroll down to item #1). 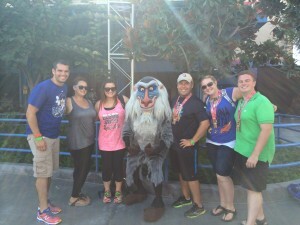 Sharing a little Rafiki time (and twerking lessons – don’t ask) with my new friends and running buddies. Next up for this group? The 2015 Dopey Challenge. Speaking of reunions, I made sure to get in touch with my friends from http://runalltheraces.com/ to set up some time to meet and catch up. These ladies rock in every sense of the word. In addition to rocking great costumes during the races, they are the friendliest bunch of Casual Runners you will ever meet, and I am fortunate to consider them my friends and running buddies. As an added bonus, Kim would be earning her FIFTIETH – yes, you read that correctly, 50th – runDisney medal at this event. So we were all excited for her and to be there when she reached this milestone. As a suggestion to other Casual Runners who decide to enter events solo, in the weeks prior to the Disneyland Half Marathon Weekend, I joined a couple of different runDisney fan groups on Facebook. These non-official groups are focused on runners who accepted specific challenges like the Dumbo Double Dare, or the Dopey Challenge, and one group (that was created right before the event) was even focused on single runners who enter runDisney events. This latter group was going to prove to be the most significant unexpected contribution to my event experience. Some people joined the group looking for running and travel buddies, others joined looking for love (which would be the best race reward ever! 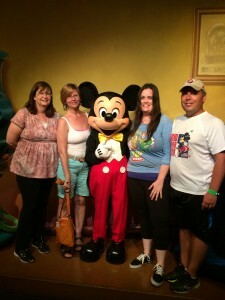 ), but what I found was a great group of friends who helped to make this an amazing race weekend and trip to Disneyland. So I have to give a shout out to Tim, Amber, Christina, David, Amy, and Ashley. Congrats on your race accomplishments and thank you for making this an amazing weekend. We had such a great time together, we are already making on touring plans to run the Dopey Challenge together in January 2015. Finally, as this would be my first runcation since we launched Casual-Runner.com, I spoke with the Team and we decided that I should live Tweet the event weekend. If you are not already following us on Twitter (@Casual-Runner), please do so. We had a great time live Tweeting this event (you can check out all of the tweets on our Twitter page), and plan on doing it again with future race weekends and events. Also, this was a great way to interact with runDisney and the @DisneylandToday Twitter folks were amazing during the entire weekend. Who needs red carpets when event-themed carpets are so much cooler? I flew to California and had a small hiccup with my ground transportation plans, and decided at the last minute to jump on the Disneyland Shuttle. This worked out well as the first stop was the Disneyland Hotel, the location of the runDisney race expo. Given this, I decided to get off of the bus there (rather than be dropped off at my hotel), and hit the expo up early. 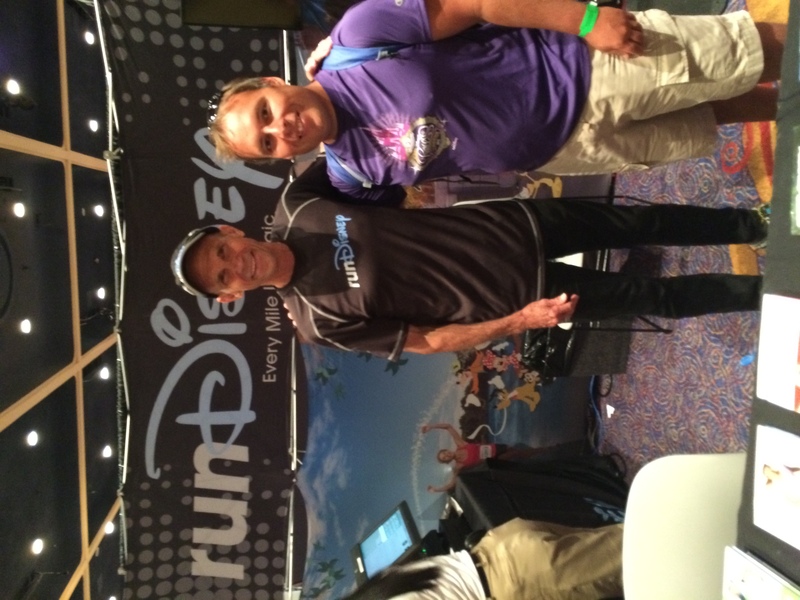 I had heard a lot about some problems that marked the 2013 expo, but runDisney is such a great team that there was no evidence of such problems at this year’s event. Just like all runners should do, they listened, learned, and adjusted brilliantly. Upon arrival at the expo, there was no mistaking where you were or where you were going. The signage and branding were awesome – how many events have their own logo carpets? It was all pretty cool. I was surprised how manageable the crowds were even as I attended on the first day of the expo, but bib pickup was quick and easy. My only concern was that Dumbo Double Dare entrants only get one bib to wear for both events. As I sweat – A LOT – I know that I do a number on my bibs, and I did not like the thought of wearing the same bib two days in a row. At the end of day two, the bib was much worse for the wear, and I do wish runDisney would give separate bibs for challenge participants. Runners pick up their bibs and pre-ordered park tickets on the lower level, and then head upstairs for race shirt pickup and the main expo floor. The theming of the lower level was a bit lacking, but they made up for it on the main floor. 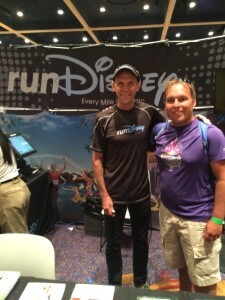 Me and Jeff Galloway at the expo, he could not have been more generous with his time or support for Casual Runners. The main floor had the feel of a big time event. Race shirt pickup was quick and easy and the expo floor was laid out in a manner that meant that there was little congestion or chokepoints when I was there. The one problem was that there was LONG line for the runDisney merch area. I wanted to browse the merch, but was not willing to wait in that long of a queue to get in, so I skipped out on it entirely. The highlight of the expo for me was getting a chance to talk with Jeff Galloway. I did not just get to meet Jeff (though I had briefly met him once before), but he really took the time to talk with me. As you know, Jen has been following Jeff Galloway’s e-coaching program. What you may not know is that Jeff Galloway has done more to encourage the growth of Casual Running than anyone else. His training programs are not only a great way to help you get up off the couch, but he has done so much to remove the “intimidation factor” from running events and make them inclusive experiences. He is truly a great guy. Now, how many events outside of runDisney give Casual Runners these kinds of photo opportunities? Just a stellar set piece. The hot item of current runDisney expos are the New Balance runDisney-branded shoes. They have been tinkering with the process to cut down on the lines for this in recent expos, and for this expo they introduced a virtual queue. While I did not buy any shoes, those who did said they really liked the virtual queue process. So it looks like they found a way to make this work. The runDisney expos always include unique photo opportunities. These were outside of the main exhibit area, and I spoke to some runners who missed them entirely because of it. I would suggest that if you are entering a runDisney event, go into the expo with the intent of seeking these photo locations out, otherwise you may miss them. Additionally, as I recommended in my Princess Half Marathon review (http://casual-runner.com/2014-08-12-race-review-2013-rundisney-princess-half-marathon/), do not forget to pre-register for your free art card from Lasting Commemoratives. I made sure to pick mine up and it will be framed along with my other ones from prior events. When it comes to event swag, runDisney has it hands-down. Talk about a nice haul for a single weekend. When you enter a race challenge, you get a lot of shirts. 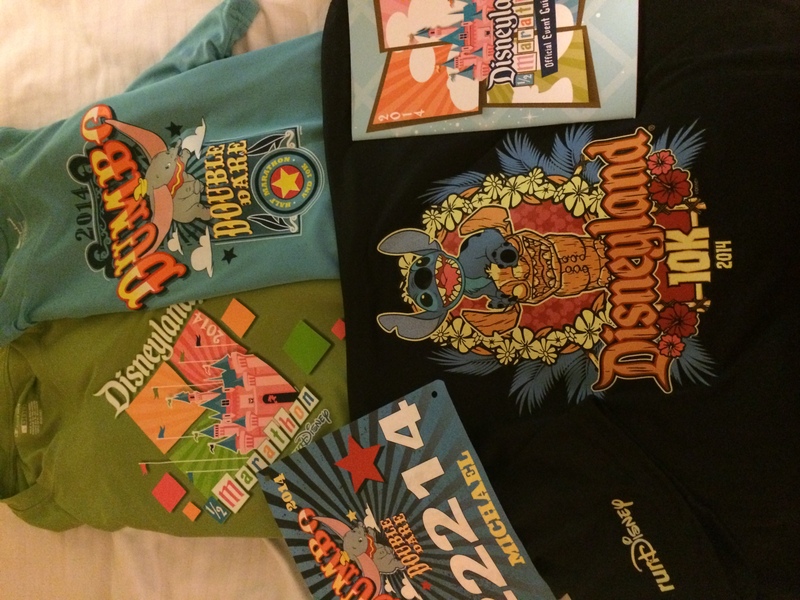 For this weekend I would be receiving 3 shirts – the 10k and half marathon event shirts, plus a special shirt for the Dumbo Double Dare challenge – and all of them were very nice. Not only are they are good quality, but the colors, branding, and designs are all first rate. As is my tradition, I wear my race shirts to the parks on race day after completing the event. When I wore the 10k shirt on Saturday, I was stopped 6 separate times by park guests who wanted to know where they could buy the shirt. They were disappointed when I told them that they were special edition race shirts. Yes, they are that nice. As you can imagine, running 2 events in the same weekend, plus everything else that goes into a runDisney event and runcation, means that I have a lot more exciting stories to share. Thus, I had to make this a non-traditional race review. I will share more specific details on the 10k and half marathon events, plus my final thoughts on the Dumbo Double Dare and Coast to Coast Challenges, in features to be posted over the next two days. I’m so jealous you got to meet Jeff! Jennifer – Jeff Galloway could not have been any nicer or more generous with his time. Such a great guy. Even though I’m terrible at following a training schedule, thanks to Jeff Galloway’s schedule on the runDisney site and some non-structured run-walk intervals I realized that approach actually makes me faster. I stopped worrying about running the entire 13.1 miles when I realized I could be faster if I walked a little! Oh cool, my hometown! Well sort of San Diego. It rlaely is a fast course I ran the half marathon there in high school and gained liked half an hour over my previous time.Treat yourself to a California burrito carne asada with french fries at any local Berto’s afterwards.